The local police detained two officials of a Mohali-based company dealing in jewellery while carrying gold and diamond jewellery worth around Rs 1.58 crore without proper documents here today. 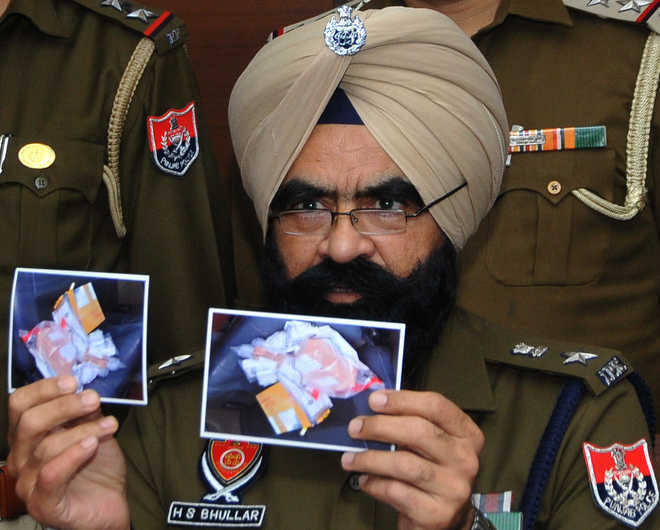 Mohali SSP HS Bhullar said those detained were Parminder Singh, driver of a Maruti Eco van in which the jewellery was being carried, and Jatinder Singh, who worked as a supervisor in the BBC Logistics company here. “The jewellery items were kept in 17 pouches and packets on which addresses of local jewellers were pasted. These packets were to be delivered to the jewellers in the area,” said the SSP. He said after confiscating the jewellery, the police informed Income Tax officials for further action in the case. A DDR has been lodged in this connection at the Mataur police station.